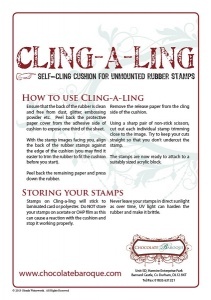 We recommend Cling-a-ling stamp mounting cushion for use with our unmounted stamp sets. It comes as an A4 sheet and has a self adhesive side which you attach your stamps to, and a 'cling' side which attaches to an acrylic block. 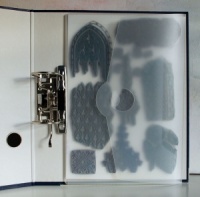 You will need a piece of cushion for each stamp as you attach it permanently to the back of the rubber. To attach it, first ensure that the back of the rubber is clean and free from dust, glitter, embossing powder, etc. Peel back the protective paper cover from the adhesive side of cushion to expose one third of the sheet. With the stamp images facing you, align the back of the rubber stamps against the edge of the cushion (you may find it easier to trim the rubber to fit the cushion before you start). Peel back the remaining paper and press down the rubber stamp sheet. Remove the release paper from the cling side of the cushion. Using a sharp pair of non-stick scissors cut out each individual stamp, trimming close to the image. Try to keep your cuts straight so that you dont undercut the stamp. The stamps are now ready to attach to a suitably sized acrylic block. How much Cling-a-ling do you need? 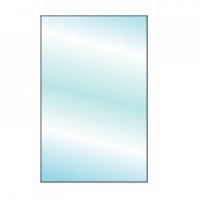 This product is very easy to use and does as it says. Will buy again. Having purchased dress form stamp sets from Hochanda, I realised I needed some form of backing once I had cut out the stamps from the A5 sheets. 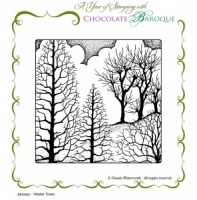 it worked well, however as I am getting older I will choose stamps which are already backed as on your website. It did take me quite a few hours to cut out each stamp , and then to fix on the adhesive side , and then to cut out again. My old hands were pretty sore by the time I finished. 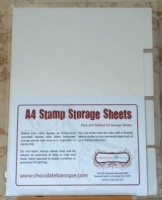 Do you think you will offer this choice of prebacked stamps on Hochanda? I would rather pay a few pounds more and receive stamps which are ready to use. My 'go to' method for unmounted stamps. Excellent service, I am extremely happy with the service you provide and will definitely be ordering from you again. 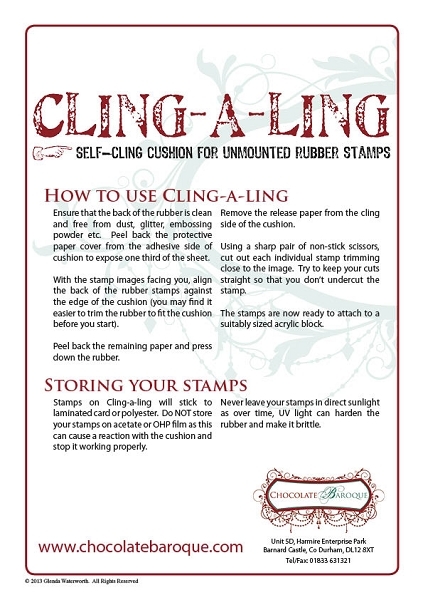 Have just discovered 'Cling-a-Ling' and will definitely use this product for all future stamps - but I do need non-stick scissors!